Gurgling tums, wind and flatulence can affect all pets at various times and some are especially prone to this type of discomfort. 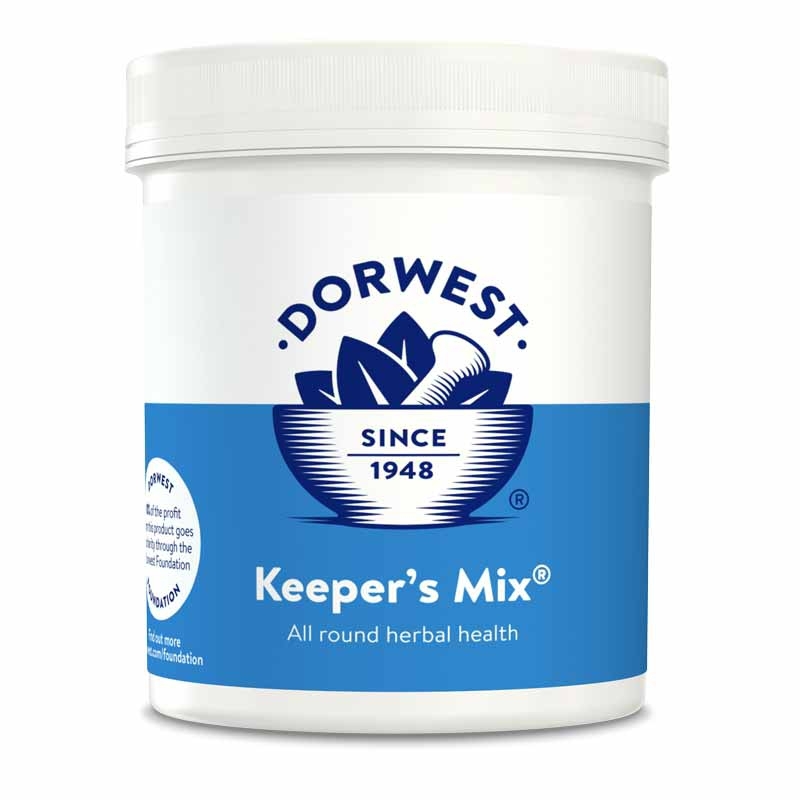 This supplement contains calming herbs such as ginger and valerian, rhubarb and peppermint to aid digestion and slippery elm to soothe and comfort. 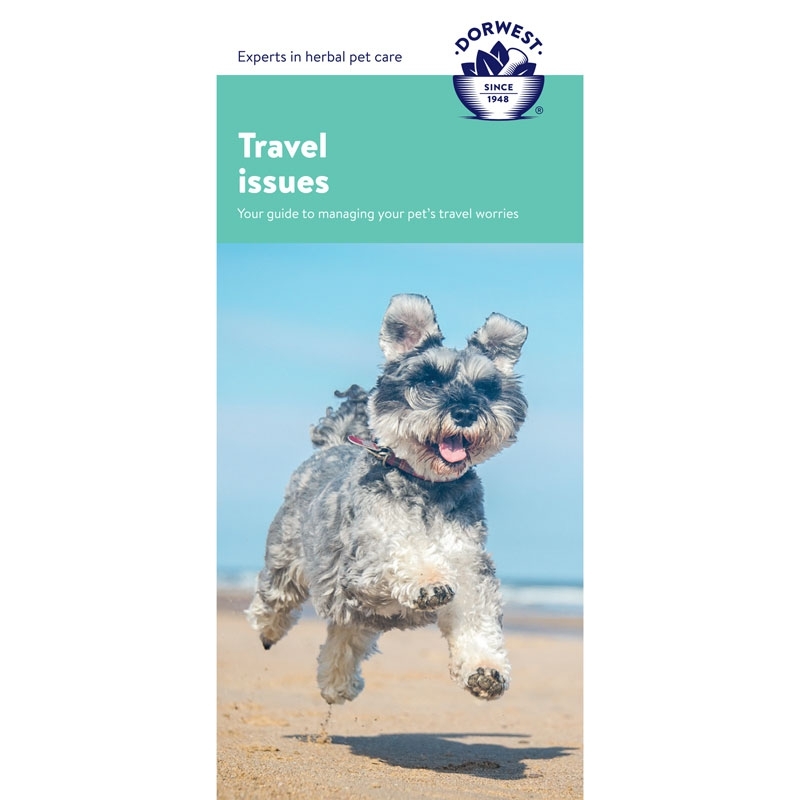 Can be given long term to susceptible pets or short term to settle the digestion before a specific event or car journey. I bought the Digestive tablets for our rescue schnauzer who hates travelling and initially was sick almost every time we drove anywhere. I bought the tablets and gave her one, an hour before each journey every time we went out in the car or motor home. The tablets certainly seemed to help. We drove 1,000 miles to Spain without her being sick once and the same home. Brilliant, mind you she still hates travelling. 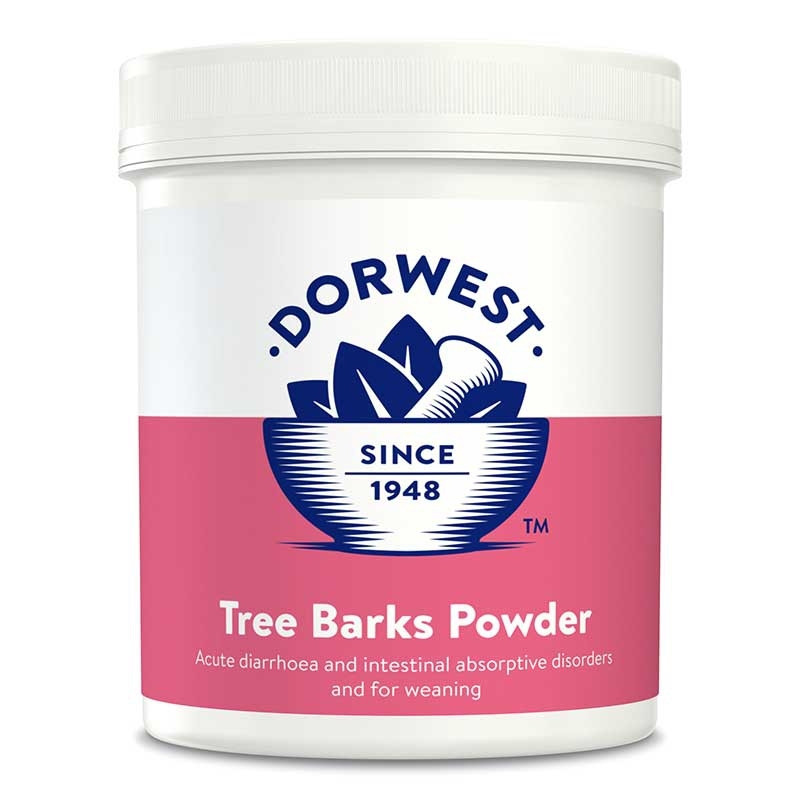 Dorwest Digestive Tablets were recommended by a friend as one of our dogs is extremely car sick. Since she has taken these tablets before a trip we have had no sickness at all - just got to try them on a longer journey now. rnTwo happy owners and one happy sick free dog. 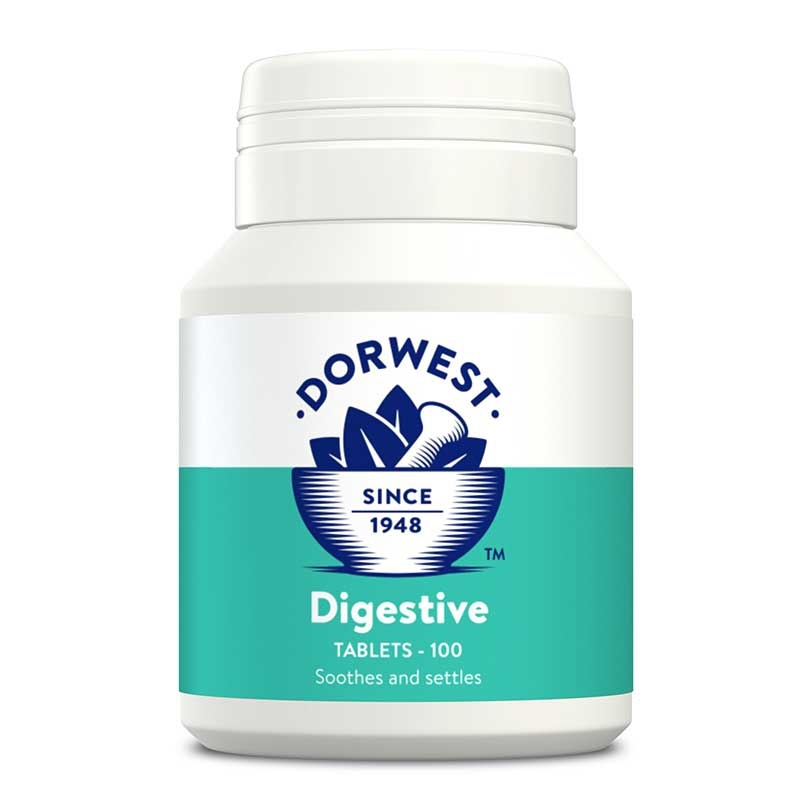 Bought Dorwest Digestive Supplement Tablets for car sickness and to my amazement they worked. No drowsiness and I started giving them two days before journey brilliant!!!! I have a 9 year old Westie who for years has been a picky eater if he didn't eat he would eventually be sick which was always yellow bile. We would always worry and try everything to get him to eat always giving in and giving him chicken or something equally as yummy! Came across Dorwest on Google and found these tablets that was two weeks ago and we haven't looked back. He is still fussy but eats when he realises he isn't getting anything else but we can rest easy as yellow bile is a thing of the past. Quality product efficient service. 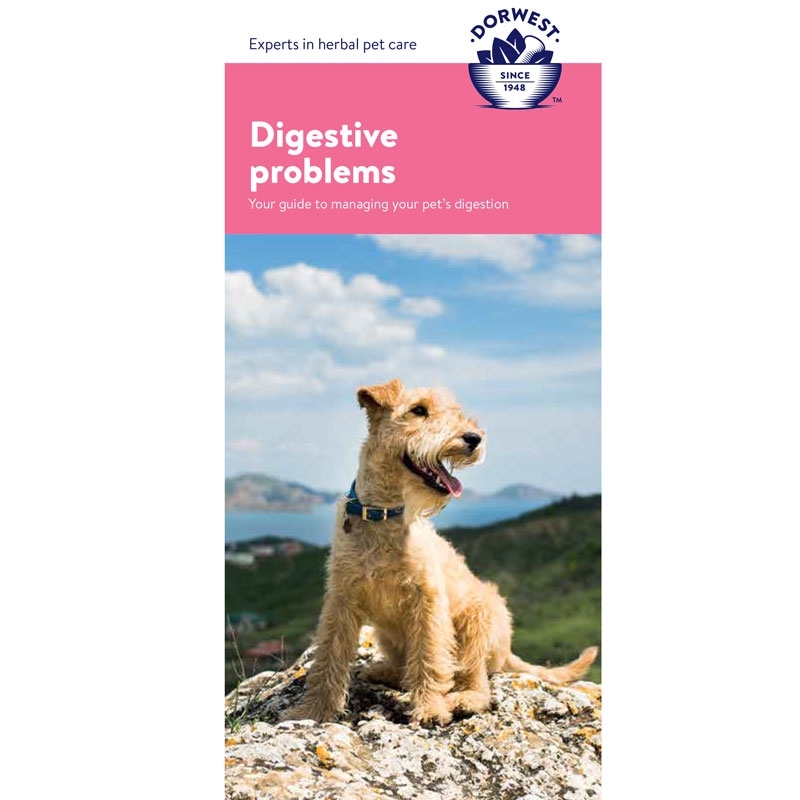 We found that the Digestive Supplement Tablets while not completely eradicating our dog's car sickness relieved it a lot and stopped the upset stomach that he suffered from on a regular basis. If you're dog is not eating try this! My boy was always a typical Lab would almost choke eating his food so fast. Then everything changed he was very fussy with his food and would only eat a little. He became lethargic and started groaning a lot. . He had numerous tests and had various medication which didn't help much. Then I tried the digestive supplement and the tree bark powder after a couple of days he was eating more and looking for food again. My boy's back! My 5yr old Lab has always been a fussy eater and had major issues with food. After a recent bout of tummy trouble I tried these to settle his tum as I it gets over acidic so he doesn't want to eat and then it starts to rumble so he needs to eat but won't!!! Tried these and he was back eating much sooner than usual after an upset and is actually eating better now than he's ever eaten!!!!! He seems to have a happier tum and I will be defining keeping these in hand. Would recommend them. I would just like to let you know how pleased I am with your products. I ordered (on advice from you) the Digestive Supplement Tablets to help with my Bichon Frise's travel sickness. We have not cured it totally but they have certainly helped and have cured her of bringing up yellowy green 'froth'. Because Tipsy is such a nervous dog I then ordered the Scullcap & Valerian Tablets and wow what a difference they made! Normally she is too anxious to settle but she managed a long journey with no sickness and just curled up and dozed throughout. She also managed a trip to the vet (which I was dreading) with no bother and more confidence. Plus she normally hides if anyone comes in the house and now she approaches them for a stroke. Fantastic! My JR has always had a very sensitive stomach and although he is on raw food his is upset at least 3 times a week. I started giving him these tablets in conjunction with the occasional prokolin paste and it works a treat. give these on a daily basis and it will settle the dog's stomach swiftly.